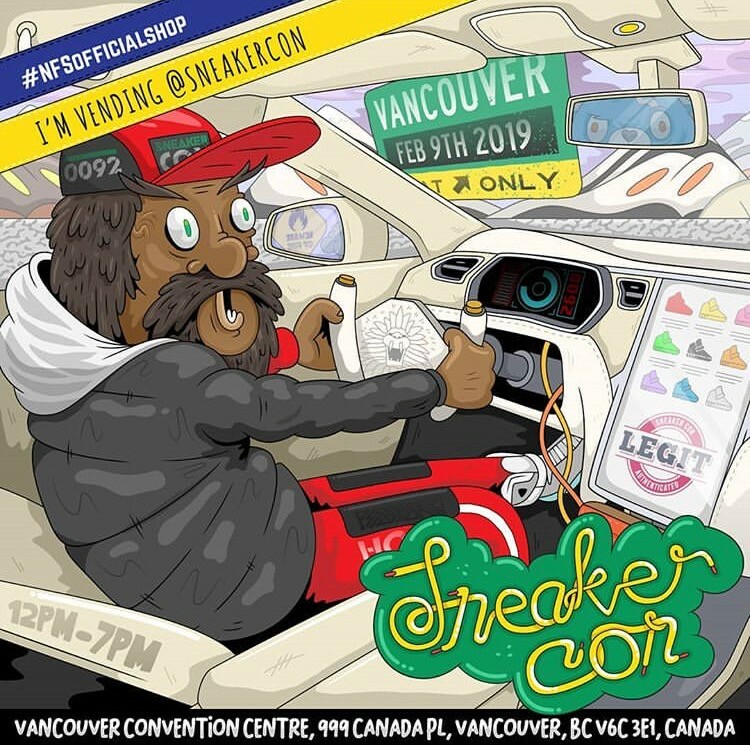 With Sneaker Con coming to Vancouver for the first time ever this weekend, there’s plenty for sneaker fans to be excited about. 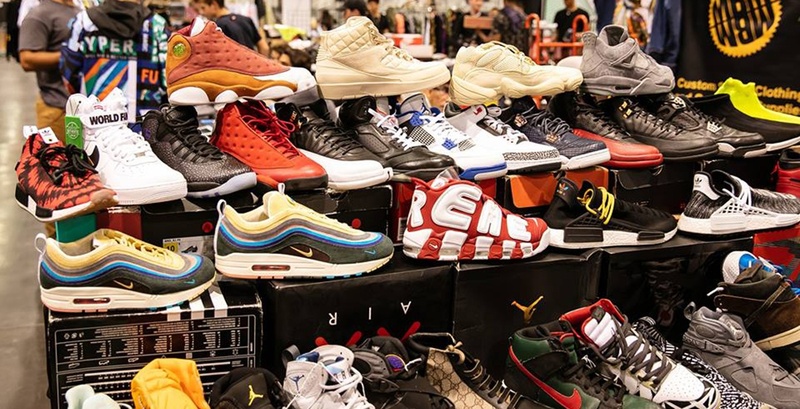 Expect a haven for shoe fanatics to buy, sell, and trade, with more than 20,000 pairs filling up the Vancouver Convention Centre. Vendors will be making their way in from Toronto, Montreal, California, and Portland. But of course, you can’t forget to give some hometown love for Metro Vancouver’s sneaker stores as well. To help get you excited for the weekend festivities, NFS (Not For Sale) has prepped a list of their top nine sneakers that you’ll be able to find at Sneaker Con and the NFS booth. The high end retailer and consignment store will also be giving away three prizes at this weekend’s event. For your chance to win, simply visit the NFS booth to sign up in person. And without further ado, here are NFS’ top 9 sneakers that you’ll be able to find at the event. 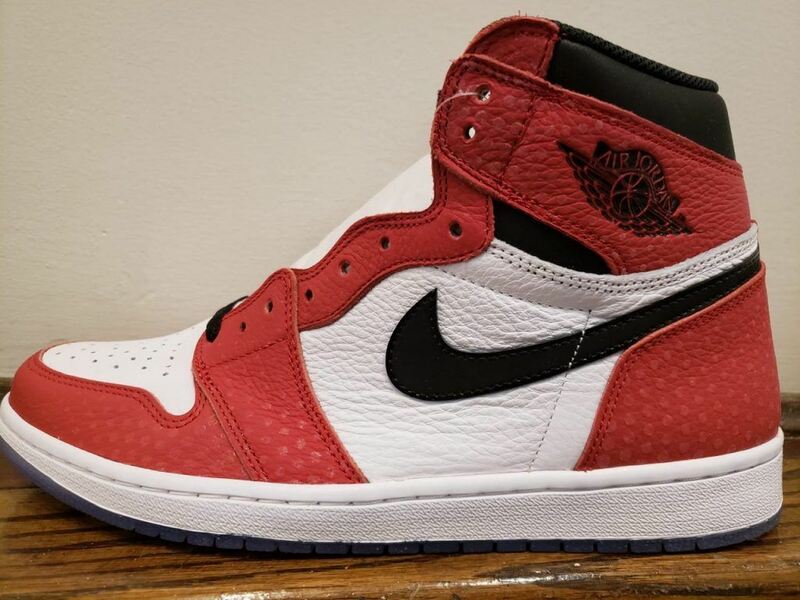 The Air Jordan 1 “Origin Story” was released in December of 2018, a collaboration that celebrated the release of Spider-Man: Into the Spiderverse in theatres. The sneaker is a quirky take on the “Chicago” colourway but sports a dotted red leather, a blue tongue tab, and an icy blue outsole. The recent collaboration between the Japanese fashion label, the American skateboarding company, and the heavyweight shoe brand did not fail to impress. 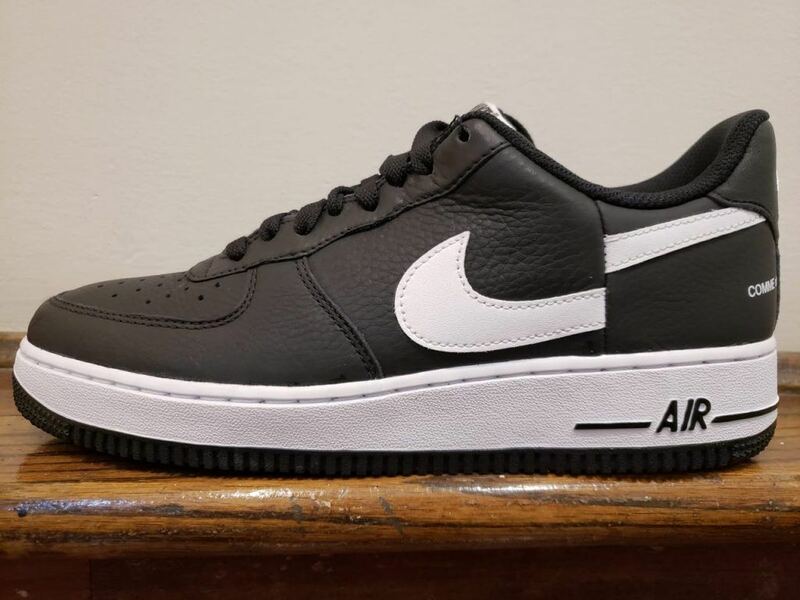 One of Nike’s most iconic silhouettes of all time is given a black and white trim, CDG and Supreme stitching on the heel, and split Nike swoosh, to cap it all off. 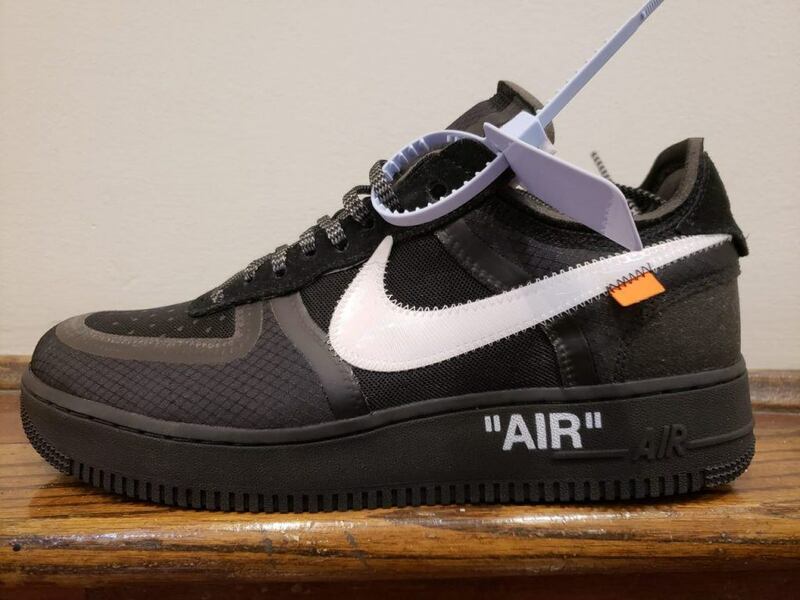 The “Off White” Nike Air Force 1 is another powerhouse collaboration, this time with Virgil Abloh’s luxury Italian fashion brand. The sneaker, which was also released in a “volt yellow,” shows off a stitched swoosh, a signature Off White tag, and “AIR” printed on the midsole. 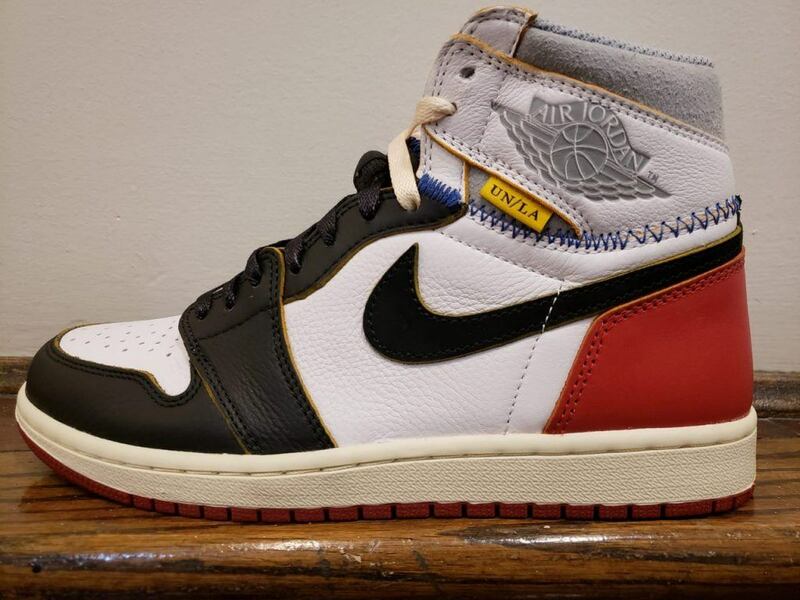 The Union Jordan 1 just might have been the biggest Jordan release of 2018. The two-piece sneaker features a white quarter and toebox with black and red throughout the lower half of the sneaker. The upper half of the shoe, connected with blue stitching and a slightly deconstructed look, takes advantage of a wolf grey collar, a slight yellow trim, and a UN/LA tag. 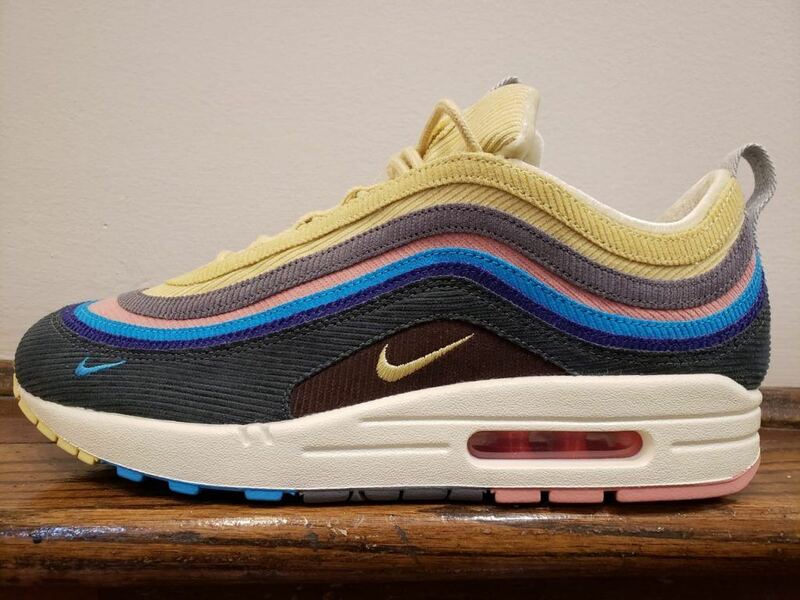 The Sean Wotherspoon Air Max 1/97 is a hybrid creation released for Air Max Day in 2018. The sneaker mixes an Air Max 97 with an Air Max 1 sole and pairs corduroy with an eclectic mix of colours. Warm, cozy, and seriously unique. The collaboration between Converse and CLOT is inspired by an arctic exploration of the North Pole and displays some serious polar bear vibes. 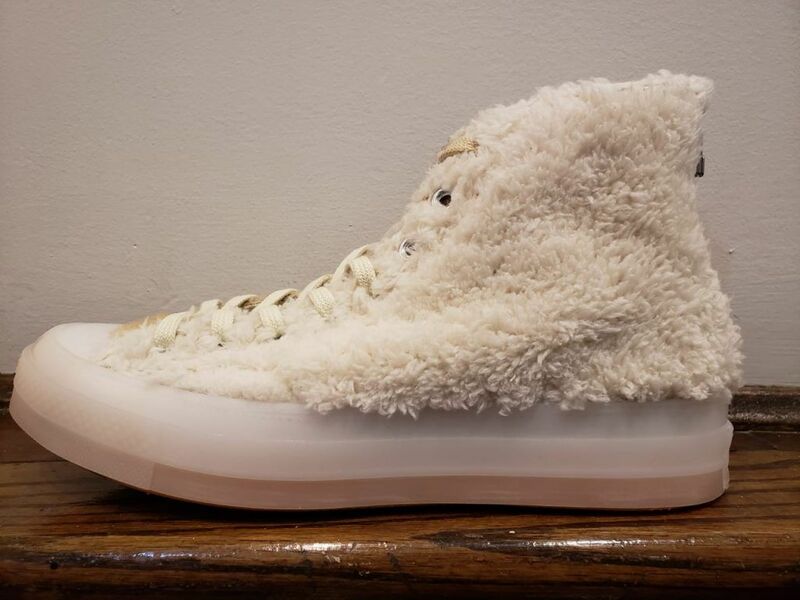 The high top version makes use of faux fur, a zipper on the heel, and a polar bear-inspired colourway. This iteration of the 350 introduced some brand new features to the ever-popular silhouette. The white and grey sneaker stands out with transparent side stripes and a re-designed Primeknit upper. 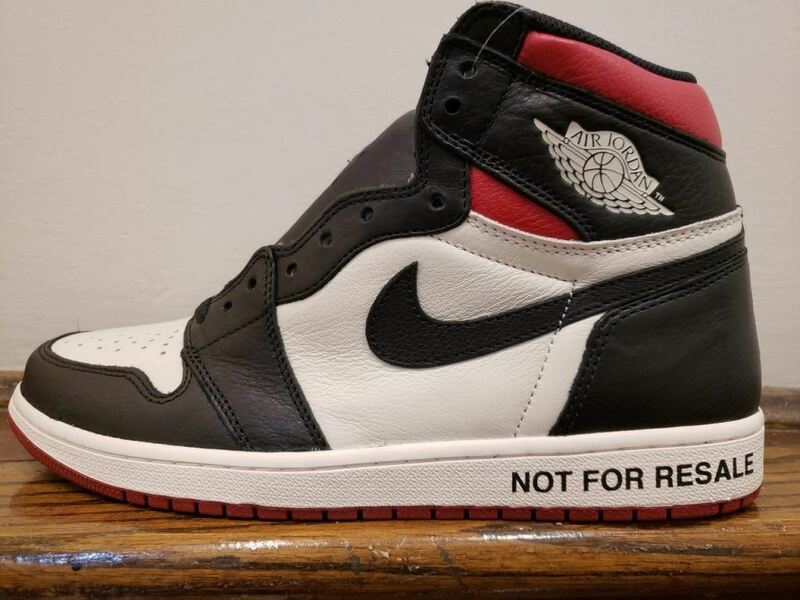 The Air Jordan 1 Retro “Not For Resale” made a serious statement with a variety of messages printed across the shoe, poking fun at the sneaker industry’s lucrative resale market. 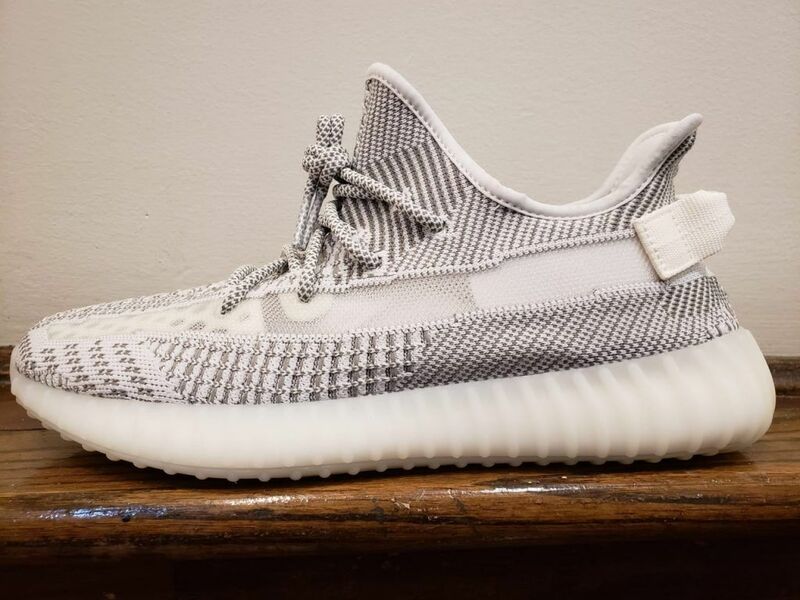 The sneaker includes the messages “Wear Me” on the tongue tags, “Please Crease” on the toebox, “No Photos” embroidered on the heel, and “Not For Resale” printed on a white midsole. A number of messages are also printed on the shoe’s inner lining. 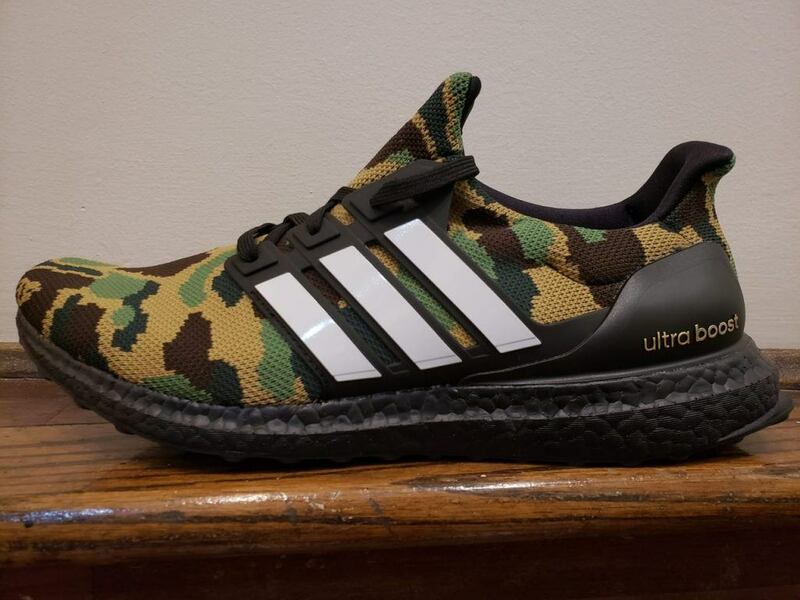 Adidas has once again teamed up with the Japanese clothing brand, this time putting a camo-induced twist on the Ultra Boost silhouette. The green camo version features a black outsole and midsole mixed with Bape’s signature camo.